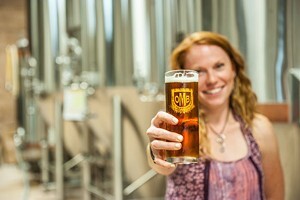 Olde Mecklenburg Brewery (OMB) is Charlotte's oldest continuously operating microbrewery; it produces the full-flavored, smooth-talking Copper, a Düsseldorf-style altbier - an old-school German brew. OMB's new facility, complete with a 60-barrel-system (opening next year), will give Charlotte bragging rights of having the largest craft brew house in the state (that is, until Sierra Nevada Brewing Co. opens its facility in Mills River, near Asheville, in early 2014). Editor's Note: This has been updated.